All the latest martech and adtech news from Rubicon Project, Criteo, SteelHouse, Microsoft, Oracle, Freshdesk, Emarsys, Voyager Labs, LiveRamp, InMobi and Moat. Ad tech marketplace provider, Rubicon Project, is cutting 19 per cent of its workforce, or about 125 employees globally, as it continues to struggle to deliver sufficient revenue growth. The cuts were revealed in latest quarterly financial report, which highlighted a challenging third quarter for the business. Q3 revenue grew 2 per cent year-on-year to $65.8 million, with non-GAAP net revenue up 5 per cent to $60.6 million. Net income for the quarter to 30 September was $3.5 million, up 217 per cent year-on-year. Addante said the workforce reduction was part a realignment begun in Q2 2016 to focus the business on key growth areas, better match its cost structure with its growth rate, and improve cost efficiency. The workforce reduction is expected to bring down future employee-related costs annually by $18m, while addition expense cost control initiatives should see this total savings figure reach $30m. Rubicon has also integrated its global revenue teams by combining buyer and seller sales functions, as well as integrated product and engineering teams. Microsoft has announced global General Availability of Dynamics 365, its cloud-based suite of purpose-built, intelligent business applications that combines its CRM and ERP capabilities into a single bundle. The vendor said Dynamics 365 offers a single, scalable toolkit for businesses to address specific needs, such as sales automation, operations, field and customer service, all backed by advanced analytics and machine learning. “Dynamics 365 has been engineered specifically to help organisations deliver compelling and personalised experiences through every phase of their customer relationships,” Microsoft Business Services VP Asia, Simon Davies, said. Dynamics 365 is available through Enterprise and Business Editions, with subscriptions based per app/per user, and industry specific applications are also on offer. In other Microsoft news, the software giant has launched a new product it’s calling Teams, aimed at helping workplace collaboration. Teams allows groups within a company to divide into subgroups and then set up individual channels to discuss their work. Threaded conversations in Microsoft Teams let users hold multiple conversations in the same space at the same time, while an activity tab gives a bird's eye view of all the different conversations going on inside a team. It's designed to work like an inbox, so people can get a quick view of what they need to know. The chat-based workspace is designed to integrate deeply with the rest of Microsoft's Office 365 productivity suite, including OneDrive and Skype, for file sharing, voice and video chat. The application is now available in beta on the Web, Windows, Mac, iOS and Android. It's a move by the tech titan to better compete with Slack and HipChat, two high-flying group chat programs designed to make people more productive at work by creating communal space for people to discuss what's going on at the office. Microsoft is also bringing the power of its Office document collaboration features to bear on the new service, and users will also be able to hop on live voice and video calls with other people on a team. In addition, Teams allows companies to add tabs to channels that bring content from cloud services like Asana and Zendesk into their chat experience. That means they'll be able to do things like reference project boards and helpdesk tickets inside the same space where they're discussing all of their other work. In keeping with other modern work chat apps, Microsoft Teams supports the use of bots inside chats and direct messages. To kick things off, Microsoft added two different bots aimed at improving the experience of using its chat product. Retargeting vendors, Criteo and SteelHouse, have dismissed their respective claims against each other in the courtroom, claiming the focus now needs to be on continuing to improve industry transparency. Criteo originally launched legal action against its ad tech competitor in the US District Court for the Central District of California in June, claiming both click fraud as well as a misrepresentation of its services. In July, SteelHouse launched a counterclaim, alleging Criteo had “resorted to gamesmanship and unlawful tactics” to both discredit Criteo as well as deflect attention away from its own artificially inflated numbers. In August, Criteo filed papers that featured several SteelHouse customers claiming to be deceived by its rival. But all it seems, is forgiven. In a joint statement dated 1 November, the pair acknowledged that they provided different business solutions, based on distinct attribution and pricing methodologies, to their clients. Oracle has brought new data management capabilities into its Marketing Cloud aimed at helping customers define, select, count, and deliver audience IDs based on the user’s environment. The functionality allows users to create audience segments tied to the customer journey across devices, channels, media environments, and is based on the Oracle ID Graph. To do this, Oracle has enhanced the Audience Builder user interface within the Oracle Data Management Platform to help marketers visualise and manage ID source, with planned functionality to link these audiences via a self-service UI through the Oracle ID Graph. The vendor said this lays the foundation to further enable cross-device marketing by bridging IDs and scoring linkages between those IDs. Audience Builder can be used for owned data as well as third-party sources and helps with optimising media buys, campaign effectiveness, improving mobile app targeting and enhancing segmentation, the vendor said. Cloud-based customer engagement platform vendor, Freshdesk, has raised US$55 million in Series F funding to continue its rapid global expansion. The latest funding round was led by new investor, Sequoia Capital India, and supported by existing investor, Accel. The latest cash injection brings total investment in Freshdesk to $150m and comes 18 months after a previous funding round saw $50m raised. Since then, Freshdesk said it has doubled its customer base to more than 80,000 worldwide, opened a new office in Europe, added two new products – Hotline.io and Freshsales – to its portfolio, and gained a position in Gartner’s May 2016 Magic Quadrant for CRM Customer Engagement Centre. The company said the latest funding will be used to accelerate the growth of its products and scaling Freshdesk and Freshservice, as well as the expansion of regional teams across the globe. As well as its newer base in Europe, Freshdesk maintains its headquarters in California, and also has offices in London, Sydney and Chennai. B2C marketing cloud vendor, Emarsys, has also secured addition funding this week – this time US$22.3 million – to fuel plans to bring artificial intelligence and more data science capabilities into its offering. The latest investment was provided by TPG Speciality Lending Europe, and sees total investment into Emarsys over the past two years climb to US$55.3m. The company said the infusion of growth capital will allow it to expand research and development capabilities, fuelling further product innovation in the cloud marketing industry. It’s also looking to extend its presence in the US. The Emarsys platform integrates customer intelligence, personalisation, predictive recommendations and omnichannel marketing automation, across all devices and social channels into a single cloud platform pitched at B2C organisations. The platform combines machine learning and data science in order to convert raw consumer behavioural data into insights that can improve end-to-end customer engagement. The company said its next product innovations will utilise AI to further improve personal interactions, closing the gap the between brands and consumers. Voyager Labs, a software startup focused on building an artificial intelligence engine combining expert systems with deep learning algorithms to improve corporate and customer decision-making, is stepping out of the shadows. The company was established in 2012 by Israeli CEO, Avi Korenblum, and provides a cognitive computing platform that analyses publicly available unstructured data in order to draw out real-time insights around human behaviour. Its customer base extends from public sector to retail, consulting and financial services, while use cases include risk assessment, crisis management, intelligence, and fraud protection. Voyager has now secured US$100 million in funding from prominent investors including Sir Ronald Cohen, Lloyd Dorfman, OCAPAC Holding Company, and Horizons Ventures. The funds will be used to finance the company’s next generation solutions for the financial and ecommerce markets. LiveRamp has launched IdentityLink, a new product pitched at marketing technology providers that’s designed to aid people-based targeting, personalisation and measurement within their platforms. Following on from the launch of IdentityLink for brands in October, the Acxiom-owned business said it’s extending the solution to allow marketing technology providers to embed its omnichannel identity resolution service in their platforms. Launch partners for IdentityLink for marketing technology providers include Adobe, AppNexus, comScore, LiveIntent, Lotame, MediaMath, Rocket Fuel, RUN and The Trade Desk. “IdentityLink allows us to resolve data generated from exposure to marketing across digital channels back to an individual, which is key to enabling people-based measurement,” said comScore executive vice-president, Brian Pugh. 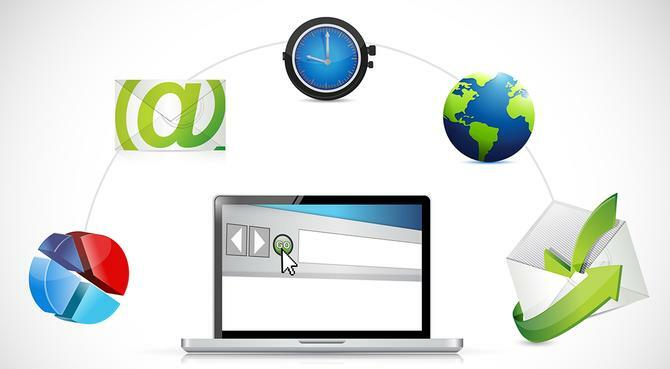 LiveRamp claims brands and technology providers both using IdentityLink allows marketers to reach consumers who are in-market for short time periods by rapidly halting retargeting post-sale and delivering relevant ads based on daily news events in as little as one hour. “The fact this dynamic unlocks more value for both parties is a unique aspect of our platform, and we expect it will become an important consideration that informs marketers' overall technology strategies,” said LiveRamp president and general manager, Travis May. Mobile advertising platform provider, InMobi, has partnered with Moat to offer brand advertising mobile video measurement and currency through the InMobi Exchange and network. Importantly, the pair said the partnership will enable advertisers to gauge ‘human and viewable’ and ‘human, viewable and audible’ viewability and attention metrics across all mobile ad formats including mobile video and native advertising, as well as transact on these metrics using Moat Currency. The partnership also allows InMobi advertisers to transact on viewable, in-app impressions across video, interstitial and banner ad formats powered by Moat’s MRC accredited measurement. Moat is directly integrated within the InMobi SDK, and initial tests show InMobi’s Human and Viewable Rate is 98 per cent. This week, InMobi also released a suite of new video ad formats for the Asia-Pacific region, including Australia. Now on offer are vertical videos, which render in portrait mode with 9:16 aspect ratio on mobile phones; interactive videos with rich end cards; 360-degree video; opt-in non-skippable video ads that play at natural break points in-app after a user opts in; and in-stream pre-roll and mid-roll that autoplay within video content. -With additional reporting by Blair Henley Frank.